There's a lot more to this college town than the University of Maryland, and guests at our College Park hotel can enjoy convenience along with the best in amenities. Just ten miles from Washington DC, make the most of your trip to the heart of the nation without overpaying on downtown hotels. Whether it's the university that brought you to the area or business in DC, guests are just one mile from Metro Station which makes travel easy. Head to M-Square or the Junior Tennis Center for an exciting event, and rest assured your commute will be fast. Fedex Field is also conveniently close to our College Park hotel, and a number of events happen year-round here. Many guests also stay at this property while visiting the National Archives which are just a short drive away. Business travelers with the National Institute of Health (NIH) and a bevy of other government agencies are regulars here. We cater to groups by offering corporate rates and blocked rooms to make traveling just a little bit easier. 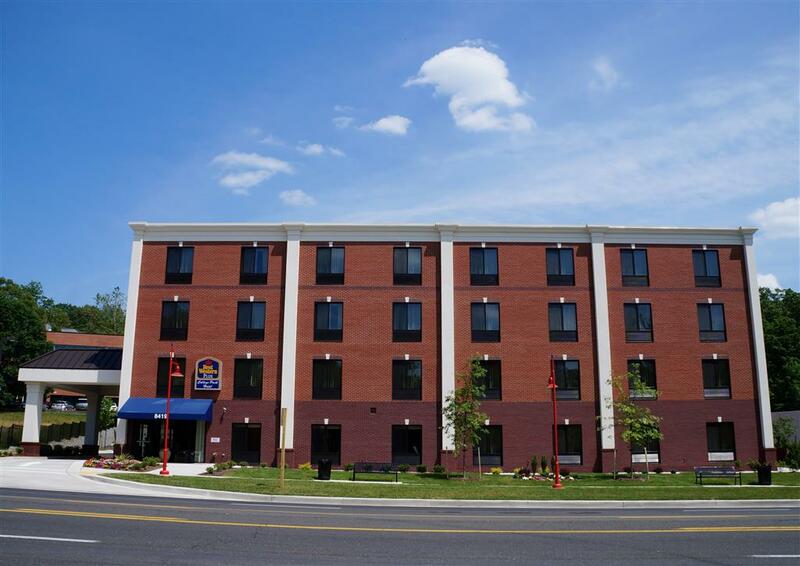 With the Beltsville Agricultural Research Center nearby, it's easy to see why so many researchers and civil servants call this College Park hotel their home away from home. Enjoy luxury bedding, large rooms and genuine hospitality during your stay. College Park has the oldest operating airport, too, which attracts aviation enthusiasts and private pilots who want a taste of history. From the spring cherry blossoms to the winter wonderlands, it's always a perfect time to visit this part of the country. Some of the best dining and shopping in the country can be found nearby, and a number of academics, students and their families stay for extended periods of time, taking advantage of the many touches of home provided at this hotel. Reserve your next stay at the Best Western Plus College Park Hotel and save! 15.00 mile(s) from Washington D.C.
~5 miles from College Park. Franciscan monks have a replica of Rome's catacombs underneath their chapel. ~8 miles from College Park.